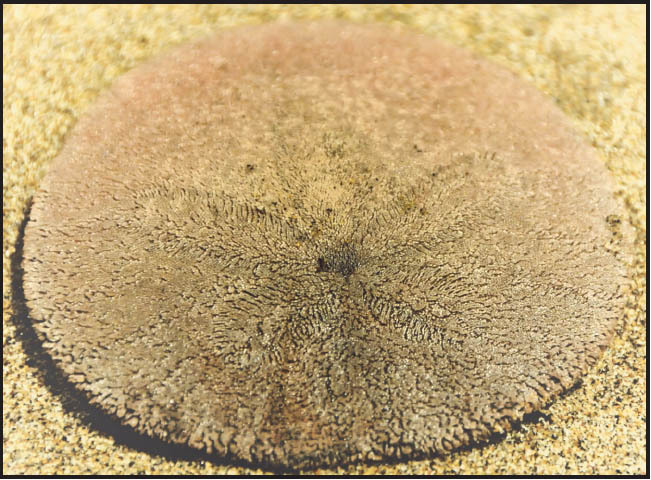 Sand dollars are related to sea urchins. The outside of their shell is covered with millions of tiny spines which look like 'fuzz' or hair. These spines aid in the movement and feeding of the sand dollar. 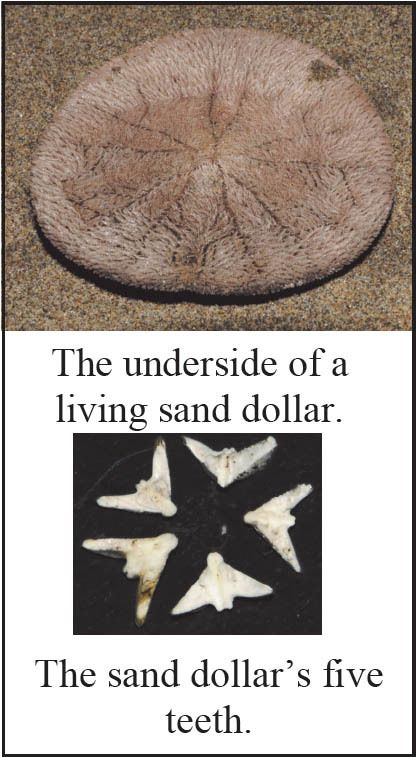 On the underside, in the center of the sand dollar, is its mouth. A sand dollar�s diet consists of plankton, which they break down with their five small teeth. Each tooth closely resembles the shape of a bird, and many people refer to them as 'doves'. Sand dollars are found worldwide and there are many different species, each with their own unique characteristics. Sunflower stars are their most-feared predator.